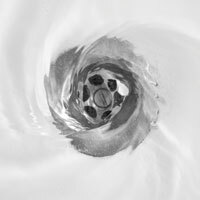 A clogged drain can be more than an inconvenience; it can be a huge headache. When wastewater is unable to flow properly from your home appliance out to the sewer or septic tank, you have a sewer problem that’s only going to get worse. The best way to take care of a clogged or damaged drain is to call a local plumbing company in Edmonds for professional plumbing services immediately. In this article, you will find three drain cleaning myths get debunked. While most homeowners believe that using chemicals and a drain snake is enough to clear their pipes, it’s not always the best way to go about taking care of your clogged drain. In fact, you will find that there some drain cleaning myths out there that may surprise you. At Action Jackson Drain Cleaning & Plumbing, we want to help you get the best plumbing service possible for your plumbing issues. That’s why we’ve outlined these myths to educate you on what to expect and how to handle certain plumbing situations. While some homeowners may be able to handle basic plumbing repairs beneath their sinks, the bigger problems like sewer lines, interior and exterior pipe repair, or potential water damage can test even the most ambitious. 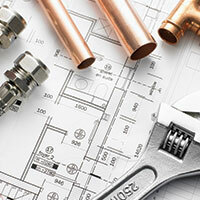 It’s best to call a plumbing company for plumbing services to make sure you get your plumbing issue handled properly. When you get a clogged drain, you probably reach for the drain cleaner. The chemicals tend to do the trick just fine, but do you know what the long term effects of chemicals on your pipes? It’s been shown that consistent chemical use to clear drains deteriorates the pipes quicker than if chemicals aren’t used. This means that chemicals should be taken off the list, or they ought to be a last resort to clear your drain. Most would believe that if their sewer continues to back up they need to replace something. This is more frequently false than it is true. Sewage backups are more common than you think, but they do not mean you need a replacement. In most cases, a sewer backup points to needing a sewer cleaning more than anything else. As a homeowner, you want to have your home drains cleaned at least twice a year. If you’re having consistent sewer or drain issues, it may be time to call a professional plumber to inspect your pipes. 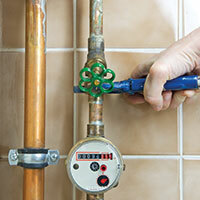 In any case, it’s better to be proactive with your plumbing issues than passive. Waiting too long can create opportunities for more damage to occur. As your local plumber offering plumbing services in Edmonds, Action Jackson Drain Cleaning & Plumbing is here to serve you and your plumbing needs. It’s not fun to experience a sewer backup. The experience can be unsettling and the stench overwhelming. Instead of trying to fix the problem yourself, give us a call. 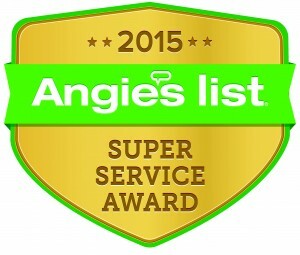 After years of serving customers just like you in the area, we know what it takes to deliver the best services.